​Earth’s internal heat circulates making the materials that form the mantle move. These movements are passed on to the lithosphere. 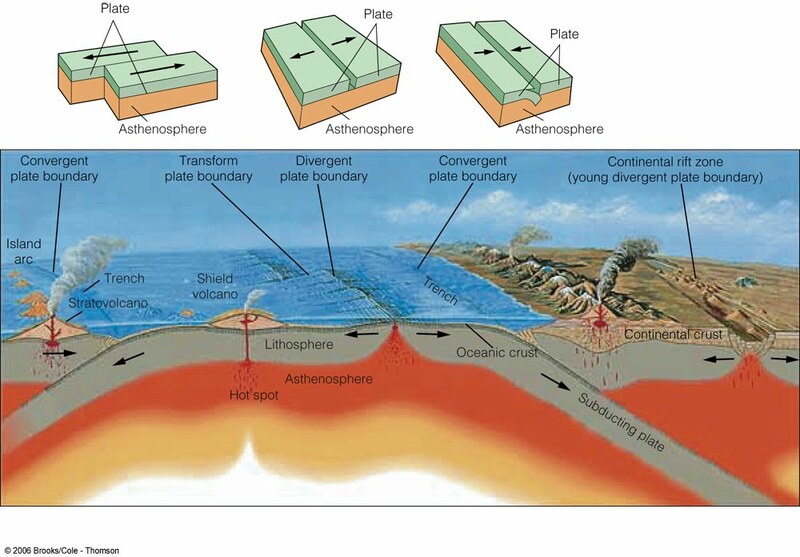 The lithosphere is fragmented into plates which form the ocean floors and the continents. The lithospheric plates move very slowly, crushing into each other or moving apart. Earthquakes and volcanoes are two of the consequences of the movements of the lithospheric plates. The structures that we see in the landscape, such as faults, mountain ranges, etc are also a result of the forces that act upon due to the internal energy of the planet. The internal energy of the planet is also responsible for the formation of two types of rocks: magmatic and metamorphic rocks. Geothermal gradient: it is the rate of increase in temperature per unit depth in the Earth. The temperature rises 3 ºC every 100 m. Nowadays it is believed that this is only up to a certain depth, and after such depth the increase of temperature slightly decreases. The estimated temperature of the core is 6 000 ºC. 1. The energy left over from the enormous amount of energy existing in the planet when it was first formed. 2. The energy released due to the decaying of radioactive elements found in its interior. Thanks to this existing energy convection currents are produced (as materials warm up they become less dense and rise, as they rise they cool down becoming denser and descend). The Earth’s internal heat can be observed on the Earth’s surface in different ways: volcanism, earthquakes and the continental drift. Volcanism begins when magma created by the melting of pre-existing rock in the Earth’s interior reaches the surface of the Earth. Earthquakes are brusque and brief shakes of the lithosphere. Continental drift: the lithosphere is not a continuous layer. It is divided or fragmented into lithospheric plates which drift slowly over a less rigid asthenosphere. Oceanic, formed by the oceanic lithosphere. Continental, formed by the continental lithosphere. Mixed, made up of both the continental and oceanic lithosphere. Two plates can separate (diverge). Two plates can move towards each other (converge). Two plates slide past each other, but don't converge or diverge. Another important outcome (consequence) of the Earth’s internal heat is the melting of rocky material. Underneath the lithosphere there are areas of extreme heat, where rocks melt becoming magma. A volcano is an opening in the earth’s crust through which magma from the interior of the earth comes up to the surface. The most typical volcanoes form a mountain or hill of lava through which hot matter is extruded. 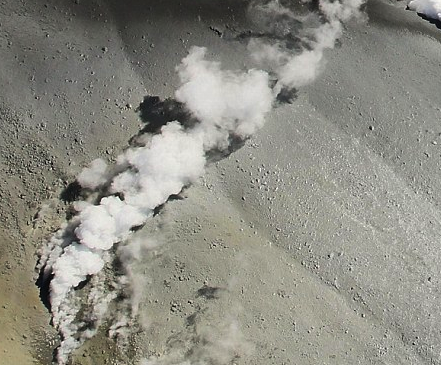 We can distinguish three parts in this type of volcanoes: the cone, the vent and the crater. The volcano's cone-shaped structure is built by the more-or-less symmetrical accumulation of lava. The crater is the opening at the top of a volcano. The vent is the passage connecting the crater and the pool of magma, found in the magma chamber (the main storage area for the eruptive material). 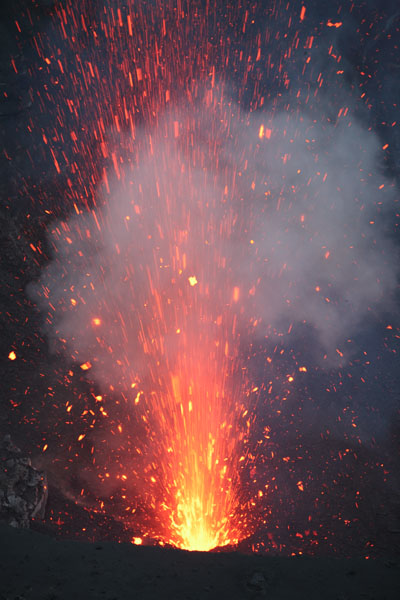 The hot matter extruded by a volcano can be gaseous, liquid or solid. Liquids: the liquid material extruded by a volcano is lava. As lava solidifies it becomes volcanic rock. Seismic activity is caused by the interaction between the lithospheric plates. As the plates try to move against or away from each other, forces build up in the form of energy. Eventually the tension is released, causing the ground to shake violently: earthquakes or seismic movements. The energy released travels through the Earth as a series of shock waves called seismic waves. The focus or hypocentre of an earthquake is the point inside the Earth’s crust where an earthquake originates. The epicentre is the point on the Earth’s surface directly above the focus of an earthquake. Seismic waves are registered in seismic stations by seismographs. A seismograph is an instrument that records how the ground shakes. The graph that records the movements in which the different types of seismic waves can be observed is called a seismogram. The intensity of an earthquake is measured using the Richter scale (a logarithmic scale of 1 to 10) The formula that the scale uses takes into account the energy released by the earthquake, as well as the magnitude of the earthquake. Igneous rocks are formed when molten rock called magma cools and solidifies. Intrusive or plutonic if they form below ground, at great depth. Their cooling is a slow process, allowing large crystals to form. For example granite. Extrusive or volcanic if they are formed on the surface or near the surface due to the rapid cooling of magma as it comes out of a volcano, therefore not allowing large crystals to form. For example basalt. Metamorphic rocks are formed due to changes that have happened to other rocks caused by an increase in temperature and/or pressure. These changes the rock undergoes are called metamorphisms. The rock does not melt in the process. Some examples are marble, schist and slate. What is the lithosphere? How is it structured? What are the three types of plates and how do they move? Where does the Earth’s internal energy come from? Describe volcanism, Earthquakes and continental drift. Research a particular volcano. Where is it? When did it last erupt? Find some interesting facts about it. 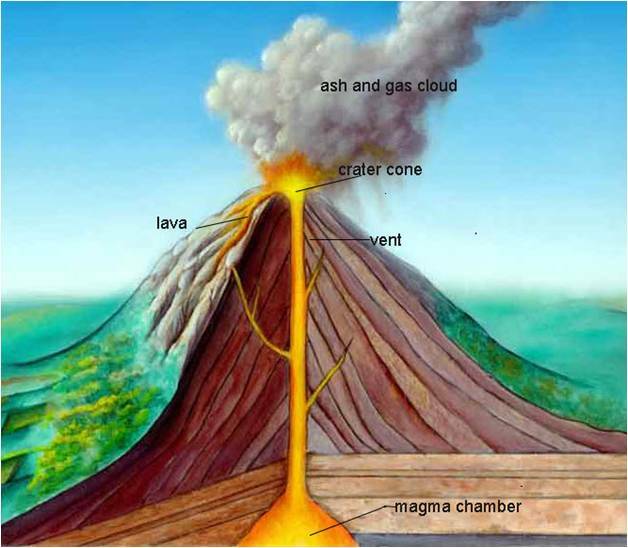 Draw a picture of a Volcano in Cross section, label the parts. Describe the matter which is released by the volcano. Explain why rocks cannot melt to form metamorphic rocks. Dangers of volcanoes and seismic activity. Prediction and prevention. ​Most volcanoes and earthquakes are related to plate boundaries so if we map the boundaries of the tectonic plates we also get a map of where there are most likely to be volcanoes and seismic activity. This lets us see which areas are most at risk and which are likely to be safe. 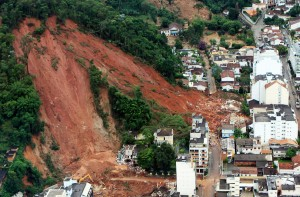 · Towns are destroyed by landslides (downward movement of earth and rock). · Fires are caused by broken gas pipes and electricity cables. · Floods are caused by reservoirs breaking and broken water pipes. · Coastal areas are destroyed by gigantic waves (tsunamis) that are produced by earthquakes under the sea floor. · Low intensity earth tremors (vibrations). Those can be detected before a major earthquake. · Changes in the shape or gradient (amount of inclination) of the ground. · Changes in the Earth’s magnetic field. 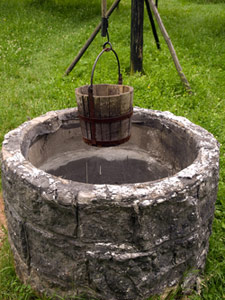 · Changes in the level of water in wells and underground streams. · Changes in the behaviour of animals (who can feel and anticipate earthquakes). · Produce earthquake risk maps that indicate areas of high risk. · Build earthquake-resistant buildings with flexible structures, and foundations (bases) that can absorb vibrations. · Develop civil protection programmes for catastrophic situations. · Inform people about the measures they should adopt during and after an earthquake. 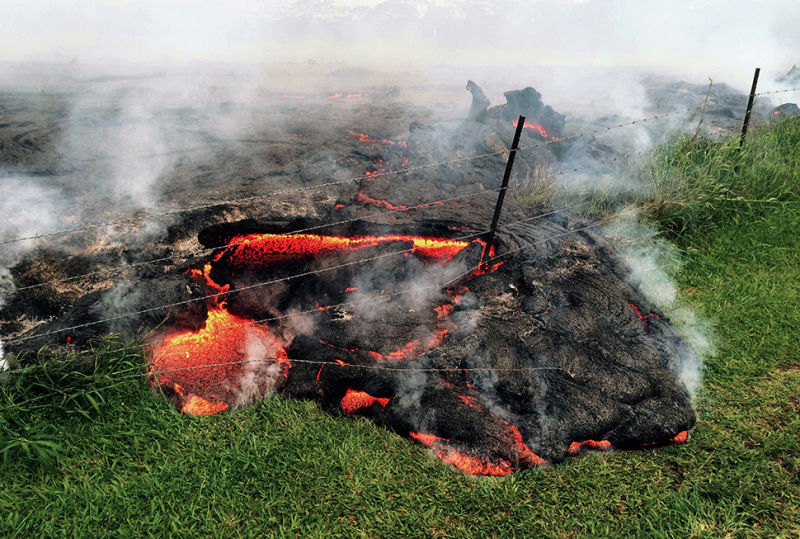 · Lava flows, which destroy everything in their path. · Gas emissions, which can affect the respiratory system of people and animals. · Pyroclasts and ash emissions, that destroy crops. · Clouds of burning rock and gas, that can destroy cities. · Intense heat inside the volcanoes, which can melt (liquefy) the frozen areas around them. This can cause floods and form rivers of mud. · Cracks (fissures) appearing in the sides of volcanoes: gas escapes through them. · An increase of the temperature of underground water. · Earth tremors (vibrations) and changes in the shape of the land. · Abnormal (unusual) behaviour in animals. · Inform the people who live in the area about the risks of volcanoes and what to do if there is a volcanic eruption. · Establish civil protection programmes. 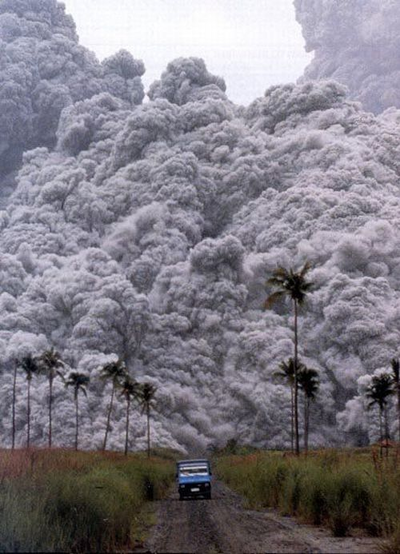 · Build dykes (large protecting walls) to slow down or change the course of lava or mud. 1. 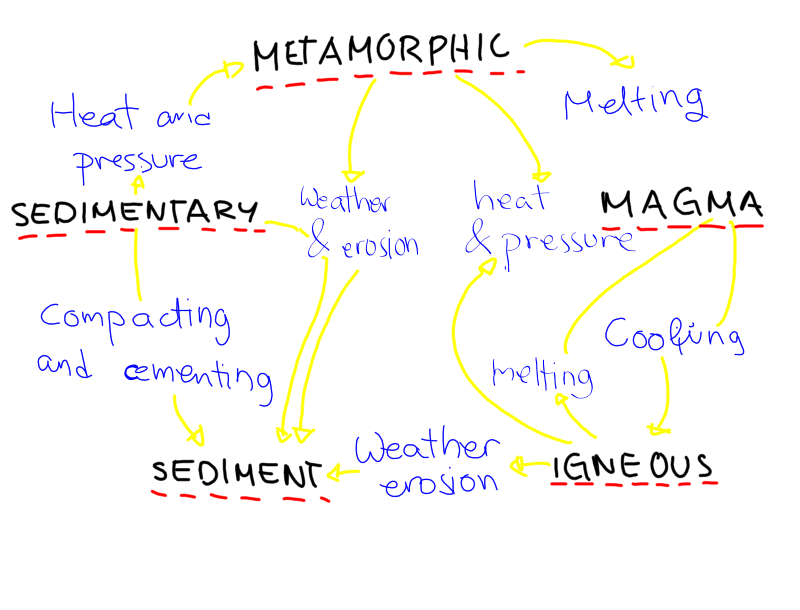 Describe the movements of the Earth´s interior. 2. Where does magma come from? 3. Are there different types of magma? 4. What causes seismic activity? 5. How are volcanoes formed? 7. Are volcanoes and earthquakes evenly distributed around the world? 8. What are the dangers of seismic activity? 9. Why do some people choose to live in areas at risk from volcanoes? 10. Is it possible to predict natural disasters?